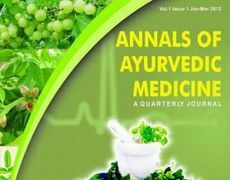 Society of Ayurvedic Physicians of India'(SAPI), a premier national representative body of Ayurvedic fraternity from India has launched its quarterly peer reviewed journal 'Annals of Ayurvedic Medicine (AAM). This journal is supposed to act as a platform to commission the communications between practitioners, researchers, academicians and policy makers in the field of Ayurveda primarily focusing for its application in India but essentially with a global purview as its offshoot. This journal has a distinguished editorial board comprising of many outstanding scholars from around the globe and is headed by Prof. RH Singh , former vice chancellor, Jodhpur Ayurveda University and Professor Emeritus, Faculty of Ayurveda from Banaras Hindu University, India. P.S. Varier himself had recognized the importance of bringing out authentic literature for the growth of Ayurveda. Such activity served essentially two purposes. The first is to strengthen Ayurvedic knowledge-base by bringing out authentic texts. The target readers were professionals and students. His publication of Sanskrit classics Ashtangasariram and Brihacchariram are examples of this aspect. Secondly, he tried to publish reliable reading material for the common man to create better awareness on health related topics. He wanted to teach the people about the do’s and don’ts of healthcare. In both these activities his primary intention was to strengthen Ayurveda and to promote the Ayurvedic tradition. 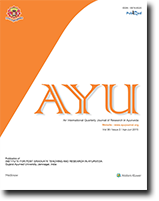 'AYU' – An International Quarterly Journal of Research in Ayurveda, is published quarterly by Institute for Post Graduate Teaching & Research in Ayurveda, Gujarat Ayurved University, Jamnagar. 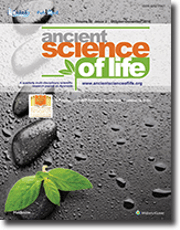 The full text of journal is accessible on website www.ayujournal.org. The journal allows free access(open access) to its contents and permits authors to self-archive final accepted version of the articles on any OAI-compliant institutional / subject-based repository. The journal does not charge for submission, processing or publication of manuscripts and for color reproduction of photographs. 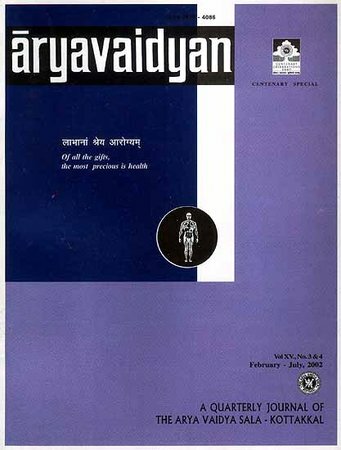 Started in 1964, the journal has continuously contributed for the research, education and propagation of Ayurveda on the national as well as international platform. 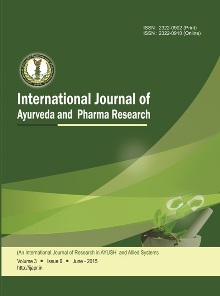 The Journal of Ayurveda and Integrative Medicine (J-AIM) is internationally circulated open access official publication of World Ayurveda Foundation and Trans-Disciplinary University, Bengaluru. As a trans-disciplinary platform for integrative health sciences, J-AIM aims to explore the relationships between Ayurveda, traditional medicine, biomedicine and other contemporary health sciences, encouraging meaningful collaboration to promote effective, safe and affordable global health. 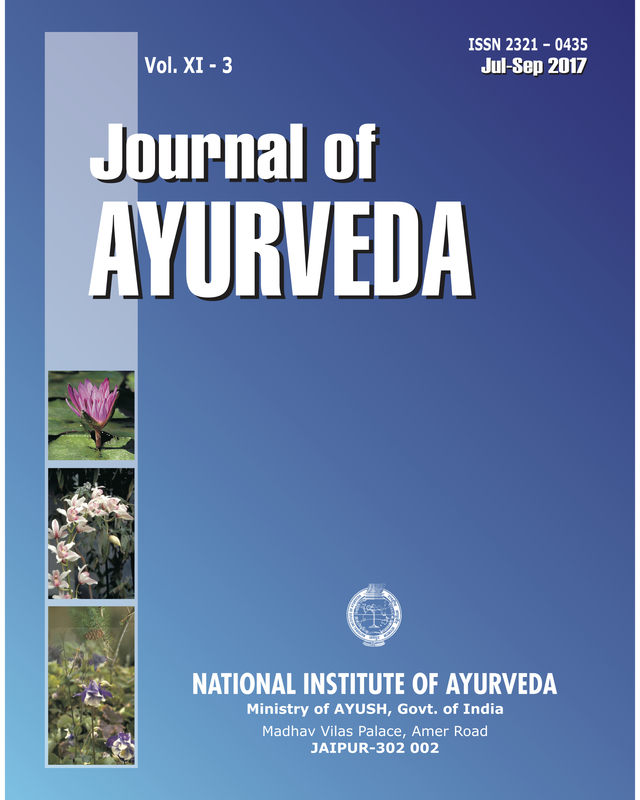 The Journal of Ayurveda is the official publication of the National Institute of Ayurveda, Jaipur under Ministry of AYUSH, New Delhi. It is published quarterly i.e. January-March, April-June, July-September and October-December. National Institute of Ayurveda, established in 1976 at Jaipur by the Ministry of Health & Family Welfare, Government of India. The institute is one of the eight national institutes established across the nation, for training and research in "Indian Systems of Medicine and Homeopathy education", by Department of AYUSH, Government of India, and the lone institute of Ayurveda under the AYUSH.